Every flight AAG makes is on a Sikorsky, the most-trusted name in helicopters. Since introducing the world’s first practical helicopter in 1939, Sikorsky has been the industry leader in safety, innovation and excellence. 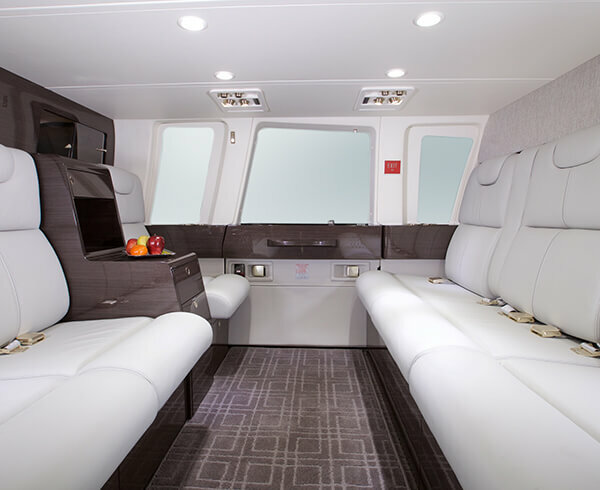 The Sikorsky S-76 Helicopter, the longest running VIP helicopter in the market, is used by more Fortune 100 companies than all other executive helicopters combined. The reasons are simple. Bigger cabins and more available space per passenger provide comfort. With a noise cocoon around the cabin, passenger headsets aren’t required, allowing easy communication or unprecedented peace and quiet. All helicopters aren’t equal. The S-76 isn’t a flimsy ride for a tour group, it’s the premium standard of luxury. 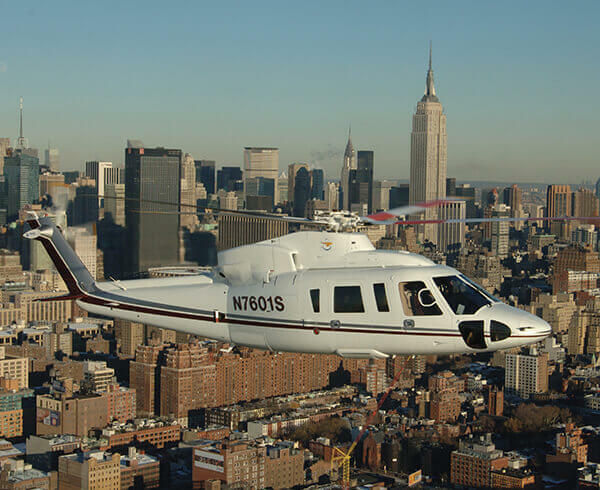 For more than 25 years, we’ve operated Sikorsky helicopter charter flights throughout New York and the region. 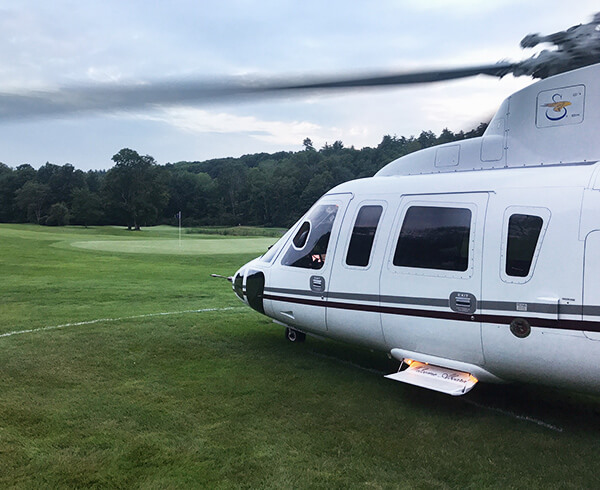 Utilizing the northeast’s largest fleet of Sikorsky S-76 Helicopters means we’re able to get clients to their destinations quicker. Each of our two-pilot helicopters are kept in top condition by our Sikorsky-backed repair and maintenance facility. You’ll fly the youngest fleet of aircraft in the charter market. Fly in the same executive helicopter used by heads of state around the world.